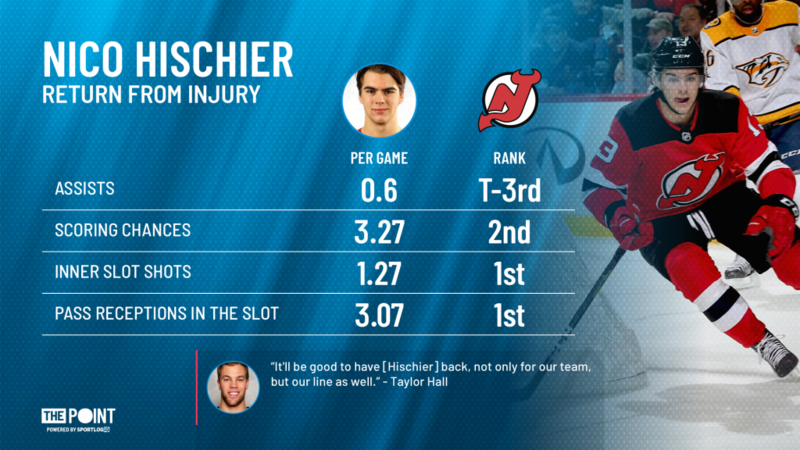 Point Shot: Nico Hischier makes his return from injury - The Point Data-driven hockey storytelling that gets right to the point. 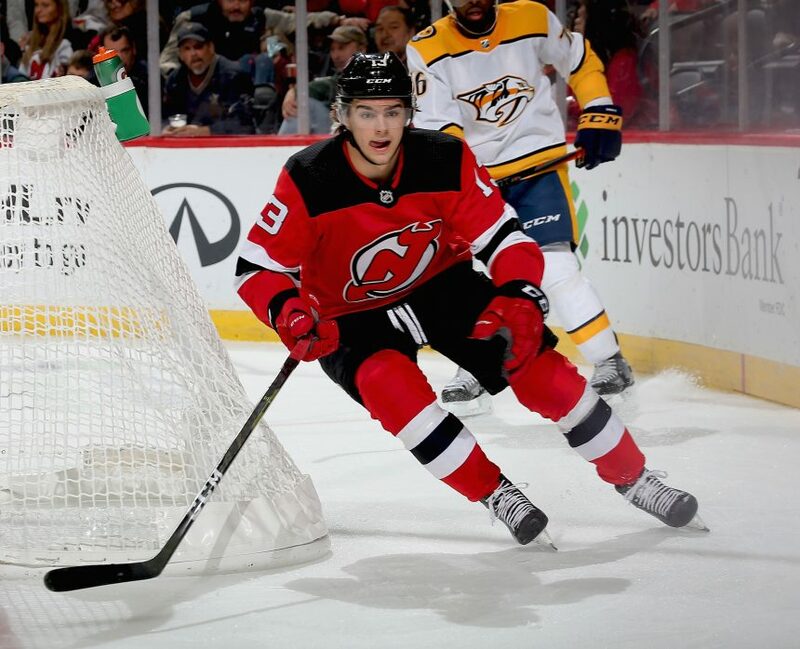 Nico Hischier is back in the Devils line-up tonight after missing the last 4 games. Hischier is the Devils number one centerman and proves it night after night. His combination of a smooth skating stride and slick hands makes him a great compliment to Taylor Hall. The duo plays with a lot of speed, pushing the pace and forcing defenders to back off. Hischier might be small but he has no issue getting himself to the slot in order to create chances. The Devils are 2-1-1 without Hischier in the lineup but they need every bit of help possible. Sitting in last place in the Eastern Conference, they need to get something going before their season ends up being a total loss. Hopefully, Hischier can provide the spark that gets them rolling.